"You are all welcome to hold something/tape something in the picture frames we’ve hung on the window (it could be your face, or something in your pocket, anything!). 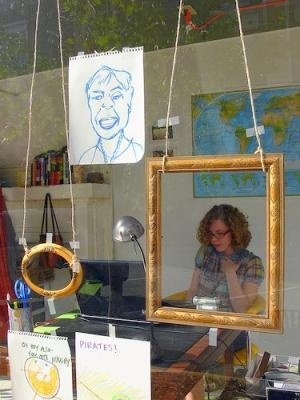 We will create something based on your framed image." Thursday 12:30-2 PM: "In The Box"